Mid-South offers a variety of stainless steel, duplex stainless steel, nickel, monel, and super austenitic welded and seamless tubing, depending upon the properties the tubing is required to exhibit. Other alloys and sizes available upon request. Stainless steels exhibit excellent forming and welding characteristics, while duplex stainless steels (named for their austenite and ferrite compositions), has greater yield strength than austenitic stainless steel. Nickel alloys have high corrosion resistance and temperature strength, while super-austenitic alloys were designed to resist crevice corrosion, pitting, chloride-induced corrosion, and stress corrosion cracking. Welded Control Lines are the preferred construction for lines being used in downhole oil and gas applications. Our welded control lines are used in SCSSV, Chemical Injection, Advanced Well Completions, and Gauge Applications. We offer a variety of welded constructed lines. 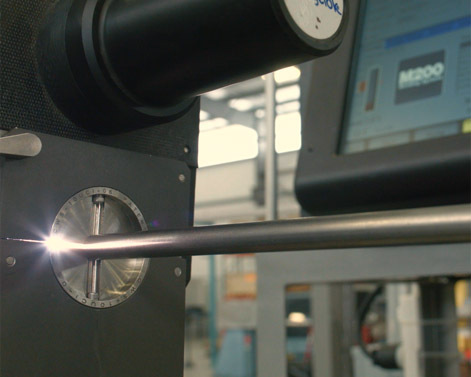 (Laser Welded, TIG Welded, welded and sunk drawn, welded floating plug drawn, and lines with enhancements) The various processes provide us the ability to customize a solution to meet your next well completion. Please contact our team to learn more about our welded control line offerings. Seamless control lines are used in SCSSV, Chemical Injection, and Advanced Well Completions. Seamless tubes provide another tubing solution for our customer's complex well designs. The most common uses for Seamless line tend to be shorter length applications whereby no orbital welds are required. 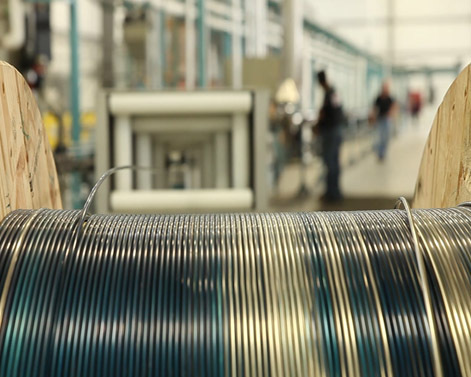 Please contact our team to learn more about our seamless control line offerings.